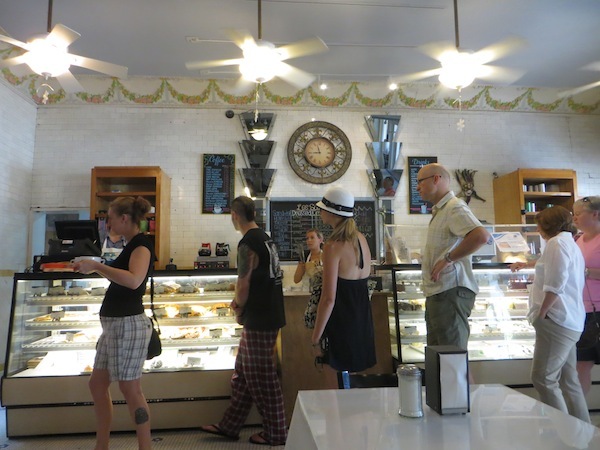 For morning number two in New Orleans, I had done my research as I wanted to visit a French Patisserie. Luckily I found a few with fantastic reviews spread out across the French Quarter. 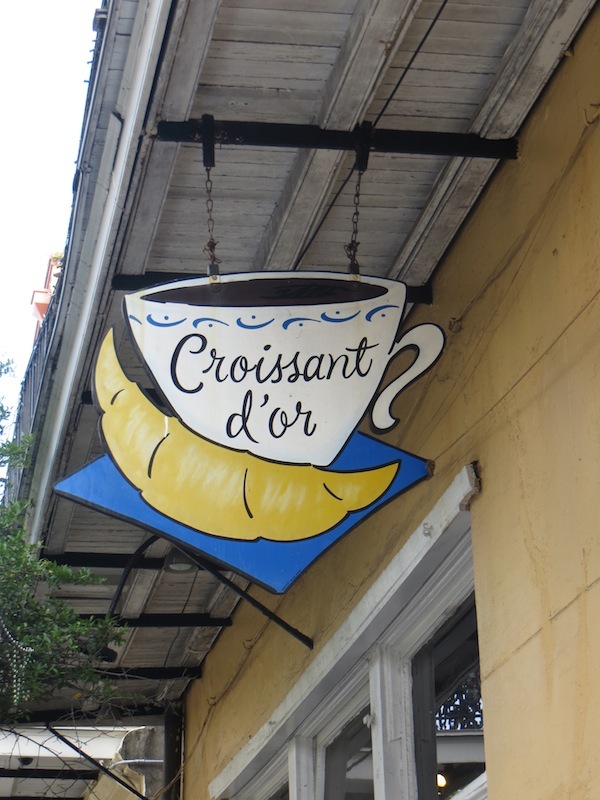 Le Croissant d’Or was the one we were most interested in so we walked several blocks across the French Quarter to visit it for breakfast. 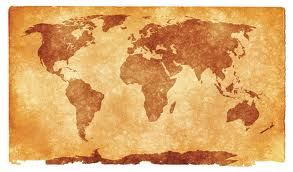 We weren’t the only one with this idea. When we arrived there was a short line-up of locals waiting in line all the way out the door and onto the footpath to get their croissants and baguettes to go. Inside there were several white tables and chairs with people eating in. The first thing you notice, other than the incredible smell of freshly baked bread, is a beautiful stained glass on the back wall of the café. There is a beautiful terrace on the inside as well. I guess we worked up an appetite on the walk over from our hotel, as we ordered quite a lot! They had all of our French favourites; pain au chocolate, croissants, pain au raisin. In the end, we couldn’t choose so we just decided to order them all. 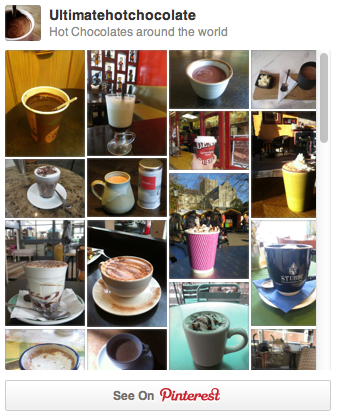 If you visit Le Croissant d’Or order the hot chocolate. It instantly transported me back to France, especially when accompanied by their fantastic pain au chocolate. The hot chocolate is nice and simple, being just the right mix of milk and chocolate so it wasn’t too sweet. It is one of those hot chocolate you can have every morning with breakfast. Verdict: I wish I had a Le Croissant d’Or downstairs from where I lived. To be able to sit and enjoy a small hot chocolate but perhaps even more to be able to have my daily pain au chocolate would make me a very happy, perhaps slightly chubbier girl. I have been wanting to go to New Orleans for a long, long time and finally had the chance this past weekend. We arrived on a Friday night and stayed at a generic hotel near Bourbon street. 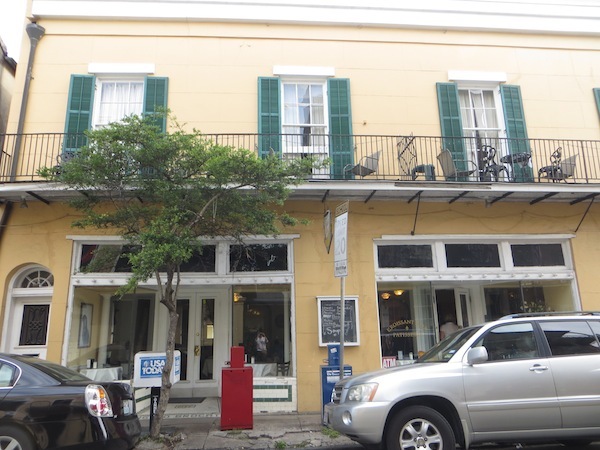 Initially I was not very impressed, but come Saturday morning when we had the chance to walk a few blocks into the French Quarter I was instantly in love. 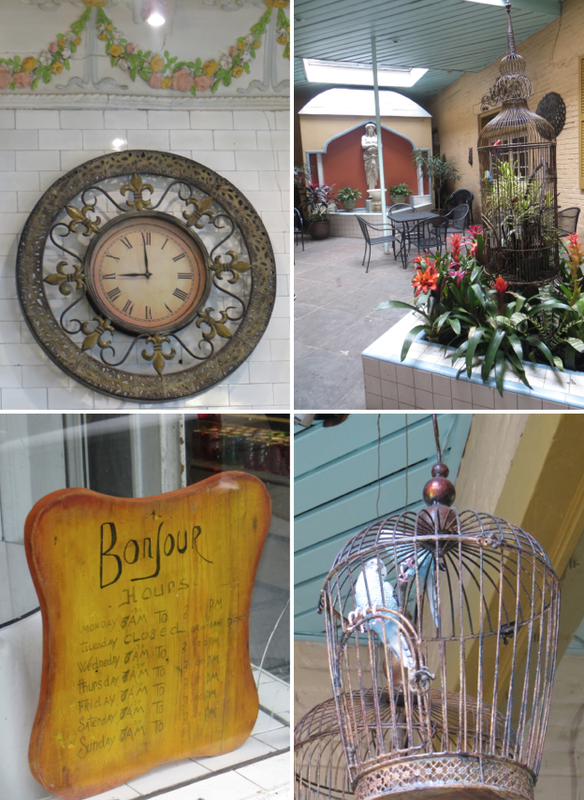 New Orleans is such an interesting place, a mix of cultures, flavours, sights and smells. It truly has something for everyone. What I liked about it is that it reminded me of Paris, but with a North American twist. Early in the morning as we walked through the quite streets many shop owners were busy cleaning their bits of sidewalk, something I haven’t seen much over on this side of the Atlantic. Generally the streets were very quiet…that is until we hit the line up to enter Café du Monde. Café du Monde opened in 1862 and is open 24 hours a day, 7 days a week except when the occasional Hurricane passes a little too close and they are forced to close. 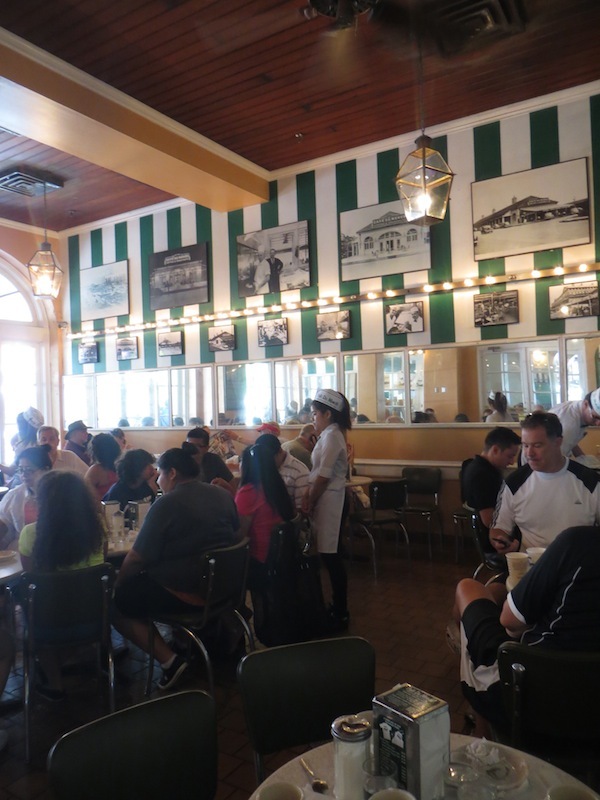 I had Café du Monde on my list of must dos in New Orleans…and from the size of the queue, I’m guessing it is on every tourists list. 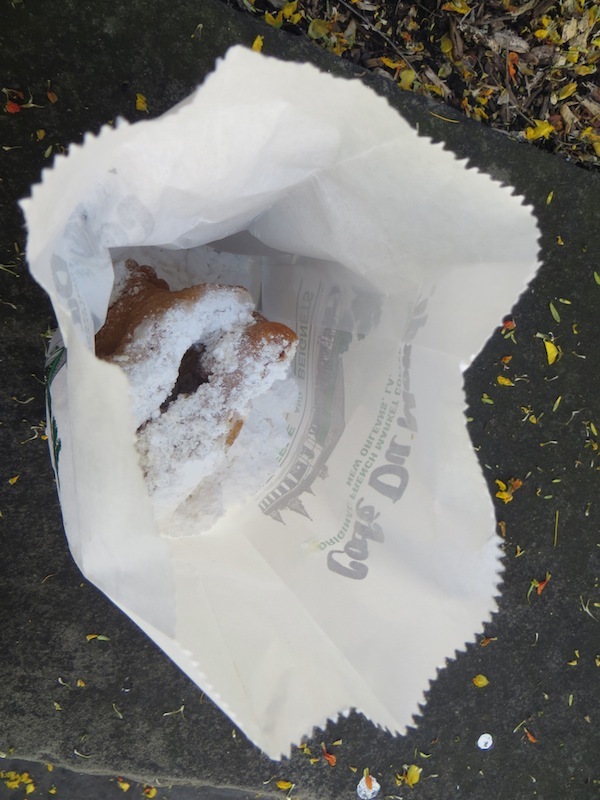 Who can go to New Orleans and not get a beignet…or in our case, a whole bag of them. Beignets were brought to Louisiana by the Acadians and are a square piece of dough, fried and covered with a lot of powdered sugar. Here you order a bag of three, and then shake it up to make sure every piece of the beignet is covered in powdered sugar. 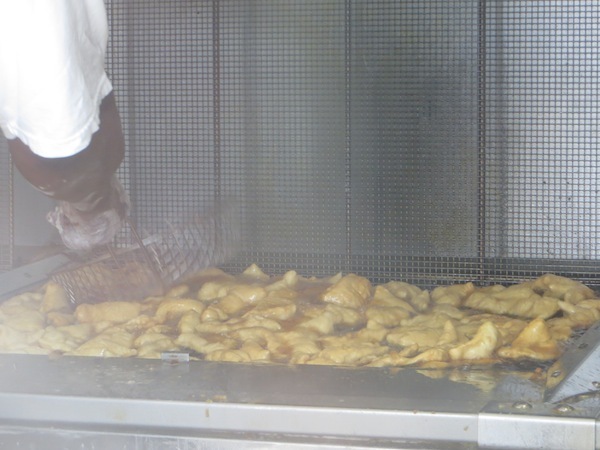 They are delicious and addictive, especially when made fresh and hot. We decided not to wait in line for a table and instead joined a slightly shorter and much faster moving line for takeout. We were then able to take our beignets and of course a hot chocolate to a nearby bench which is still pretty much part of the Café so you still feel like you are there and part of the action. Unfortunately, my hot chocolate wasn’t anything extraordinary…not like the beignets! It was very generic, and very sweet. 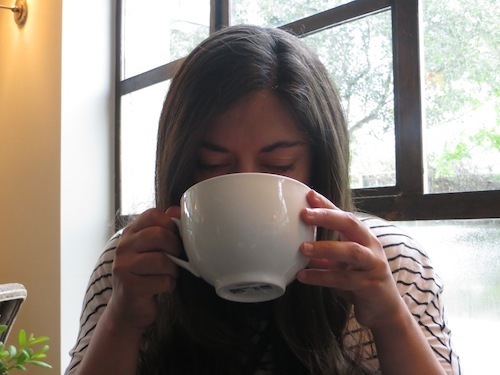 I’m not sure if I expected anything special, maybe I did since the Café du Monde menu is so short: beignets, café au lait, hot chocolate….that’s about it. But I was too distracted by the goodness of my beignets to even notice. 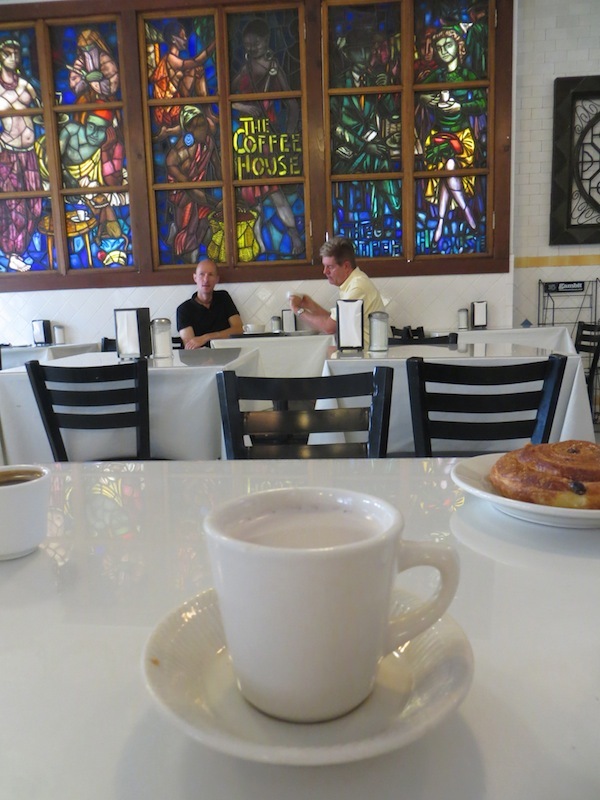 An added bonus was that where we were sitting was just across from a large window that looked directly into the Café du Monde kitchen were two men were cutting, forming and frying the beignets. 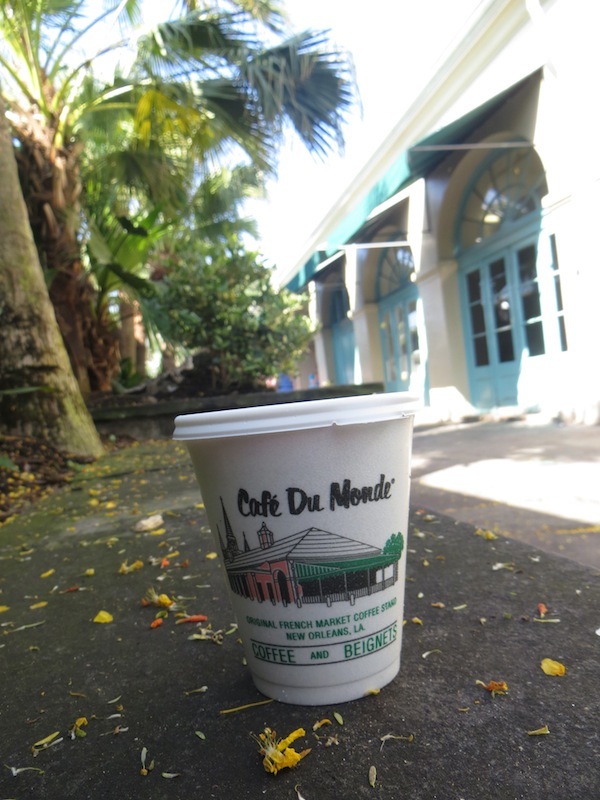 Verdict: Ultimately you don’t go to Café du Monde for their hot chocolate, and you shouldn’t. Get yourself at least a bag of beignet and enjoy that. Save the hot chocolate for later…and somewhere else.